Chimera brings together works from different genres, which negotiate the line between the scientific edge and the mystic. The visual appearance of works is often discussed from a stylistic perspective, however, this exhibition brings together works, which examine ways of representing the edge of imagination. Susan MacWilliam explores the very outer limits of what the eye can see or what can be phenomologically proven with the help of the camera lens. Her research into the scientific examination of after-images and sc�ances leads her to question the use of film and photography in recording imagery, which may be perceived in the mind but cannot be conjured to provide proof of their existence. 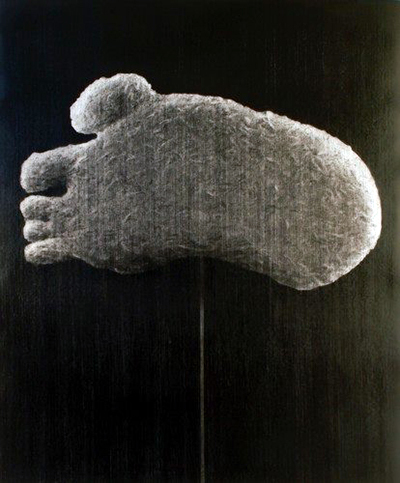 The illusory in scientific pursuits is also the topic of Reece Jones� recent series, which uses scientific studies of possible Bigfoot sightings in his densely layered drawings, while Duplock continues to create a painterly language around the contemporary remnants of shamanism and folk rituals. 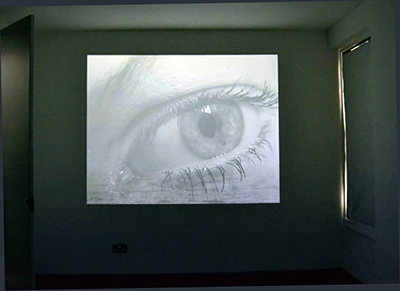 Susan MacWilliam�s early video work The Persistence of Vision (2000) is a b/w and colour video with sparse sound. 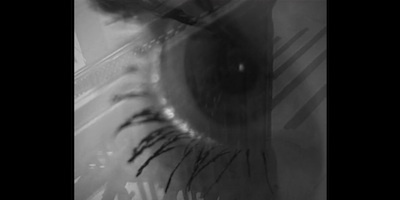 Based on the extraordinary case of Mollie Fancher the film examines the phenomenon of image retention. Mollie Fancher lived in Brooklyn, New York. In 1866 at the age of 17 following a fall from a horse and from a streetcar she sustained injuries that kept her bedridden for 50 years. Throughout this time she went into trance and spasms, and multiple personalities exhibited themselves. Although Mollie was technically and medically blind, her 'vision' persisted and she was able to see clairvoyantly. In the black and white parts of her film Mac William almost tenderly examines the portrait of a young woman, a stand-in for the aforementioned Molly Fancher, immersed in white lace and crisp bed linen. The camera closes in on her eyes and through them the film reveals in colour what is deemed to be her vision, a muddled set of poetic images underlined by the ominous sound of thunderclaps, a sound trigger which renders the sheer beauty of the images obsolete and threatening. In the pictorial surface of her film lies the connecting thread to Reece Jones� black and white charcoal drawings which work with areas of black graphite density versus lighter, more rhythmic areas and sections which are completely erased in a slow process which unfolds over months. The works are figurative, yet, they also inhabit the edge of what is real, both in subject matter, which often borders on the mystical or as is the case in his most recent series, the freakish. The Bigfoot, Yeti or Sasquatch is presumed to be a giant apelike animal, which has been sighted in many global locations and is part of local folklore, hoaxes and sightings, which have yielded footprint photographs and casts, which cannot be verified. The frequency of references to the creature�s experience however has lead to the acceptance of the phenomenon at least as a popular myth. Reece Jones� work makes reference to a style of nature drawings, which is commonly present in Victorian museology, while at the same time also reminding of Nineteen Fifties B-movie sets. Both artists remind us of the fact that the exploration of curious phenomena often owes to Victoriana stylistically. Duplock�s work interlocks with Reece Jones� in the use of pencil, although he applies it on canvas for his whimsical bird/shaman figures which may have been taken from the illusory realm but exist just as much in the real world of dressing up for parties, the psychedelic or more ancient rituals. Also here the B-movie references are an element of the work, which re-connects MacWilliam�s film with both Duplock�s and Jones� drawings. 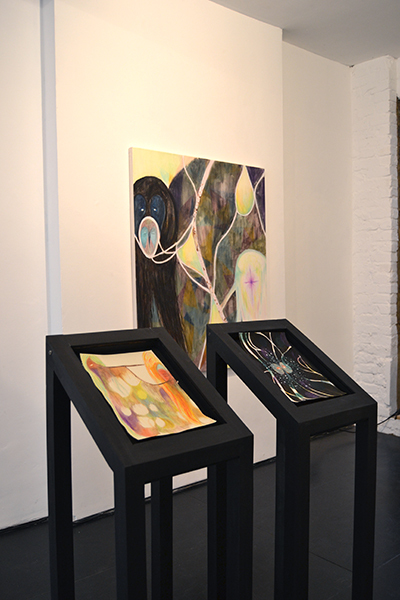 The exhibition examines our ongoing fascination with the connection between our visual memory and the intrinsic human connection to our psyche. 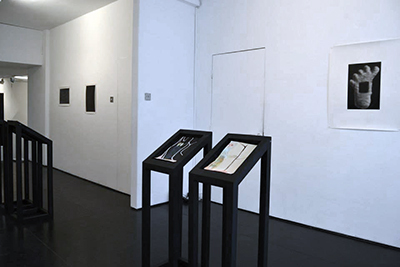 Images: Susan MacWilliam, The Persistence of Vision; 2000, B+W, Colour +Sound, 7:40 mins, Reece Jones, The Undisputed Heavyweight Champion Of The World, charcoal and polymer varnish on paper, 2014; Jack Duplock, Conversation, detail, acrylic and pencil on paper, 2014. Susan MacWilliam, born 1969 Belfast, represented Northern Ireland in the Venice Biennale in 2009. Recent shows include her solo shows at Quad Derby, 2014, group exhibitions at Kaohsiung Museum of Fine Arts, Taiwan 2014, Heidelberger Kunstverein, Heidelberg, 2014 Golden Thread Gallery, Belfast 2013, Eastlink Gallery, Shanghai, China 2012. Reece Jones, born 1976, Solo exhibitions at All Visual Arts, London 2012, Triumph Gallery, Moscow, 2011, Charlie Smith Gallery, 2014Stephane Simoens, Knokke-Zoute,Belgium, 2012, Garboushian Gallery, Los Angeles, 2011, Torrance Art Museum, California, 2011. Jack Duplock, born 1974, Exhibitions include Scheublein+Bak Galerie, Zurich, 2014, the Agency London, 2014, Galerie Yukiko Kawase, Paris 2012, Vestfossen Kunstlaboratorium Oslo 2010, Arcuate Arte Contempareno, Monetrey, Mexico and Cynthia Broan, New York.